Posted: Sun Sep 03, 2017 3:54 am Post subject: 16v head swap? lets work it out! I know there was a thread talking about this. But lets get to the point. The 924 Bore pitch is 95mm i've also seen 96mm?? but im pretty sure it's 95mm. I'll get measurements at work properly to be 100% unless someone knows for sure what it is? If we can get people to help find engines with 95mm (or 96mm to be confirmed) I can use photoshop and overlay headgaskets together to see how well they'll fit on the block with stud holes and over all head size. the SRT4 head and the evo x head. The STR4 head studs are to far away to make work. The Evo x head is probably to wide. But the stud holes are very close. To make work the block would need some modifications as the holes on the head are to close to structural parts to relocate. Might be possible but the head over hangs to the sides quite a bit. Black is the 924 block and red is the cylinder head. Edit: I should add its not top priority. There are a few things ahead of it on the list. I have seen that thread along with a few others. You have a CNC or have access to one? If I had access to a big CNC I probably would have made my own head already. I've only got a few lathes and milling machines. Hence this thread. I think there would be a head somewhere that would work. I Know ways that can potentially improve the head but I won't have before and after results as I'm building a built motor, not slowly building it while it's on the road. 3 and 5 axis mills but I am working up to the head project with other projects. So far I have done a ton of research on what others have done and it has lead me back and forth from 8V to 16V and then back to 8 at least for the turbo. To start I planned on a heavy mod of a stock head before going straight to a all new head. I geared up for that and paused since I have to get a few other things done first. I saw the 5 axis on the video. If I buy one. I would be purely buying one as a toy as we don't do engineering any more as much. I still would love one. Yes I have thought about 8v vs 16v before. Flow wise 16v takes. And when you're going for big power and rpm there's no looking back from 16v. But you can do the same with 8v with good head work and a set of cams. I just want to get the intake/exhaust valve size ratio closer to what is considered normal and with a much lighter valvetrain. Plus it would be nice to have a 8V that uses some stock items. Plus look stock from the outside. Along with better flow I would like to see better cooling. Once that is figured out and actually built, move to 16V. 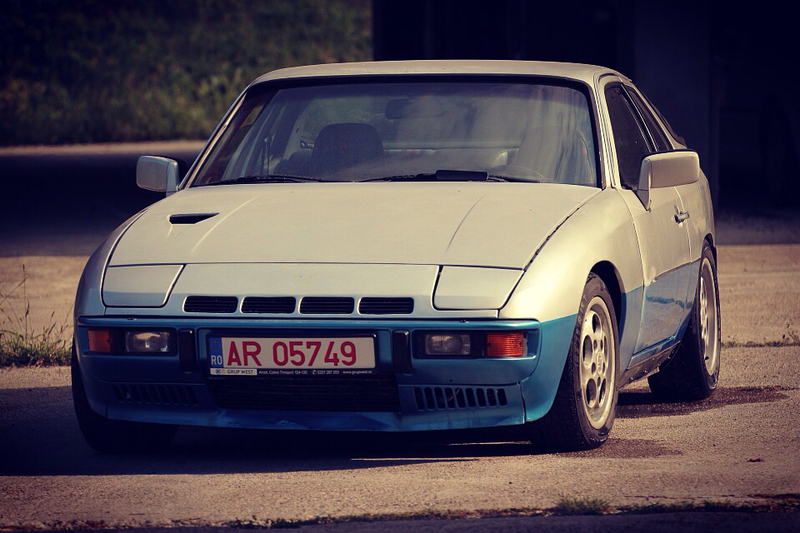 Its funny how in the USA, 944 turbo 3.0 builds seemingly always use the 8V head even when starting with a S2. Europe seems to use the 16V head. I believe it's because doing the 8v 8L is a lot cheaper than doing a 16v turbo. 8v head you still can use the 951 intake manifold and exhaust manifold, where on the 16v you have different flanges for the intake and exhaust. If i had a choice between either, i'd be going 16v also. Hence this thread looking for a 16v head that could potentially fit our 2L blocks. Every 944 or 968 turbo race car, they all end up going with a 16v engine at the end of the day. We have a 944 time attack car in aus that started off with a 3L 8v, went to a 2.5 8v (while his 16v 3.x was getting build, its been on the works before the 3L 8v engine was built) and now has the 16v 3.x in it. we've also got a 968 time attack car that is a straight 3L 16v and now it's a billet 4L 16v. Edit: They have high end equipment too. Caught a glimpse of the corner a machine and recognized the brand. Also can't figure out how they are handling the water jacket(s) in the head. I would already be machining if it wasn't for this issue and finding the best approach. Oh so true...probably not worth it but for the "exercise" I just might try for the fun of it. If I had a 5 axis, trust me. I would have made a head by now. I have a small 3 axis cnc router, I've already made flanged for the head and itbs. I know more boost is more power and the whole twin scroll scenario but ideally I would rather less boost for more power. I will also be welding up my head and modifying the ports, probably more then most people would go. But hey if I can find a 16v head I can modify a little and bolt on for a lot better flow. I would go that route. We looked for years, could not find anything. How did you determine the head would work or not? surely theres more heads with the right bore pitch? I know i went though the threads. I do browse here a lot, but not post much. A lot on rennlist though as i've owned my 951 for many years and have build it ground up. Anywho, I know i could potentually get the evo x head to work, but it's freeken wide! You could drill out the threads in the block and make them a lot bigger, plug them up with a threaded rod and then offset new threads. But i would need to check the block if possible. The width may be an issue though, you'd need some custom water and oil passages, most likely external.